A wide range of new and highly anticipated features were released with this version of Nakivo Backup and Replication 7.2 which continues Nakivo on the path of tremendous momentum with their product and listening to customer’s needs in their data protection environmentws. Nakivo has been pushing the envelope with its support of turning various NAS devices into supported backup appliance platforms. With the release of Nakivo Backup and Replication 7.2, support for Asustor NAS servers has been added. These NAS appliances are charaterized by high performance, reliability, stability, and enhanced energy efficiency. With the installatio of Nakivo Backup and Replication 7.2 on top of Asustor NAS, it forms a powerful combination of backup software, hardware, storage, and data deduplication in a single device. Arguably, one of the most highly anticipated features of this release is the addition of the ability to truncate Microsoft SQL Server transaction logs. 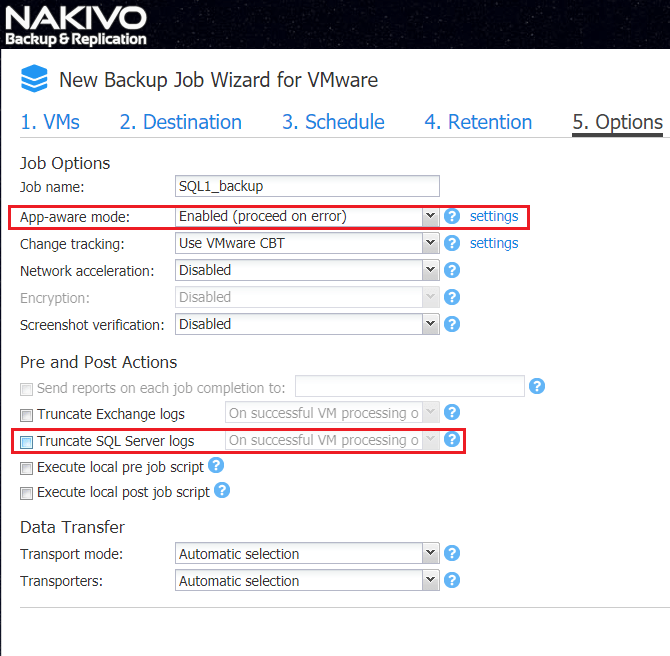 This adds the ability with this release of Nakivo Backup and Replication to perform housekeeping on Microsoft SQL Server DBs with application aware backups. With each successful backup, Microsoft SQL Server transaction logs are pruned. This helps to protect your Microsoft SQL Server environment, saves space, and helps to prevent failures related to disk space. This process is fully automated and agentless with Nakivo Backup and Replication 7.2. The virtual machine is backed up, log files are deleted, resulting in a compressed and deduplicated virtual machine backup and replica that contains all the transaction log files. This ensures that database data can be restored reliably whenever it is needed. 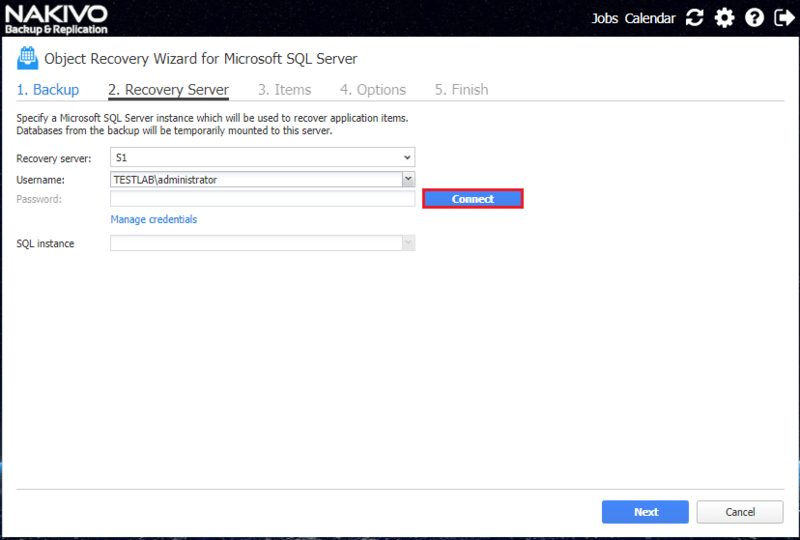 Additionally, in conjunction with the new ability to perform Microsoft SQL Server log truncation, version 7.2 adds the ability to provide Instant Object Recovery for Microsoft SQL Server. This adds to the already existing instant object recovery for Exchange and Active Directory. 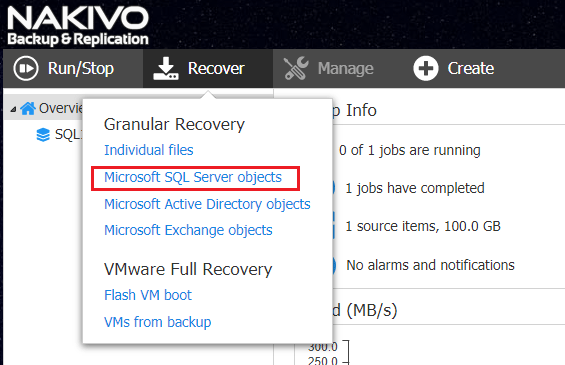 This functionality allows the ability to instantly restore Microsoft SQL Server objects such as databases or even tables without the need to restore an entire VM to retrieve critical data. Those objects can then be restored back to the source virtual machine, different virtual machine, or exported to another location. 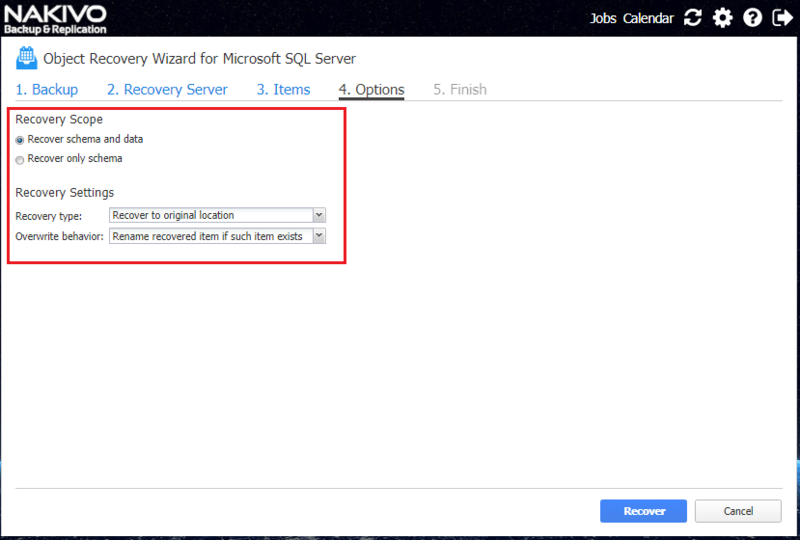 This makes the ability to recover Microsoft SQL Server data much quicker and efficient than before. Finally, the Calendar Dashboard and Flexible Job Scheduler allows you to streamline your backup job scheduling. 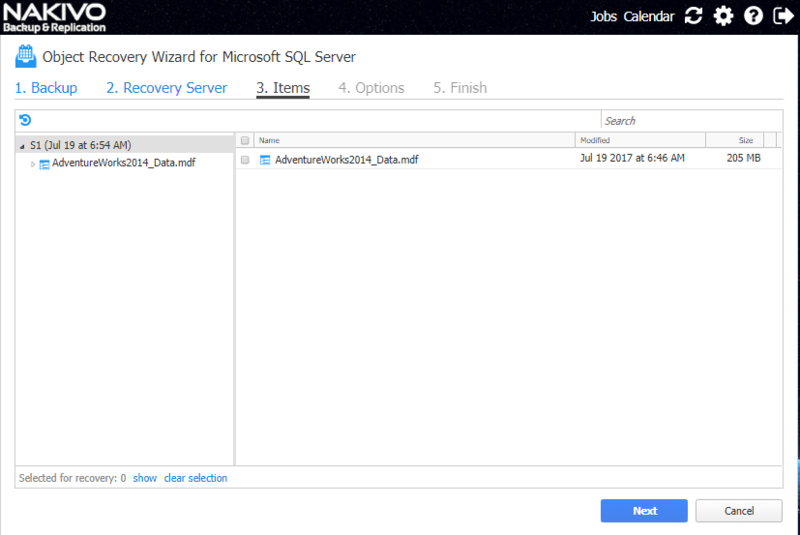 This new way to schedule jobs provides a powerful, quick, and intuitive way to schedule data protection jobs. The calendar UI is intuitive and requires no special “backup software” skills to use and interoperate with. 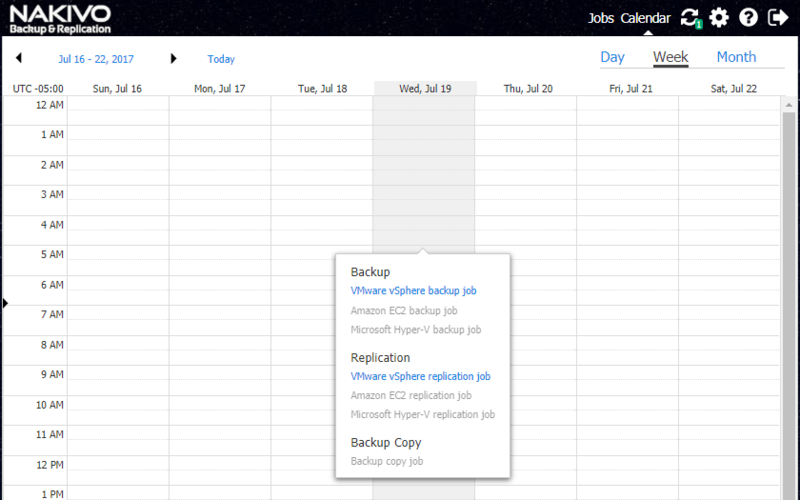 The dashboard displays all the past, current, and future backup jobs in a simple calendar view. Thus, finding free slots in the backup window is quite easy. Nakivo Backup and Replication is a stellar product from top to bottom that just keeps getting better. Each release we review and take for a test drive reveals a more fluid, mature, and powerful offering that keeps delivering for customers. Nakivo gets a thumbs up for this release and continuing to cram features and functionality into the product. Visit Nakivo and download a trial copy of Nakivo Backup and Replication 7.2.